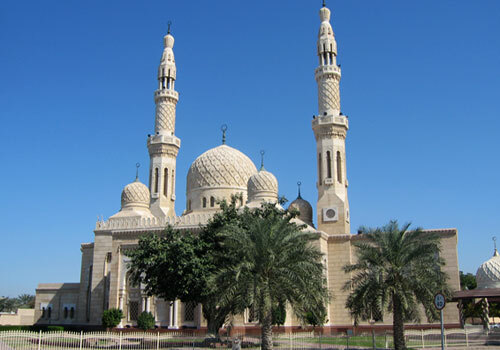 The Jumeirah Mosque is arguably one of the most impressive mosques in the world and is definitely Dubai's architectural jewel. Its twin minarets rise to dizzying heights either side of the vastly impressive central dome of the main building. Non-Muslims are only allowed inside on organized tours, but even from outside the mosque is staggeringly beautiful. Visit at night for the best view when the structure is carefully floodlit, throwing its elaborate features into shadow. 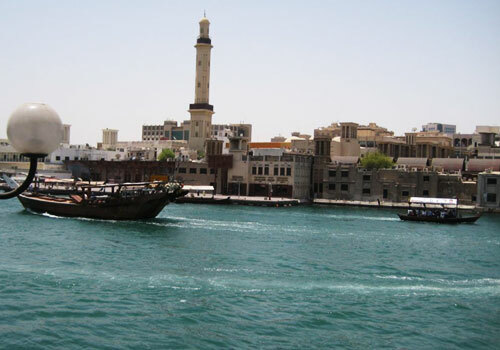 Deira is the most atmospheric side of the city with a distinctive Middle Eastern flavour. 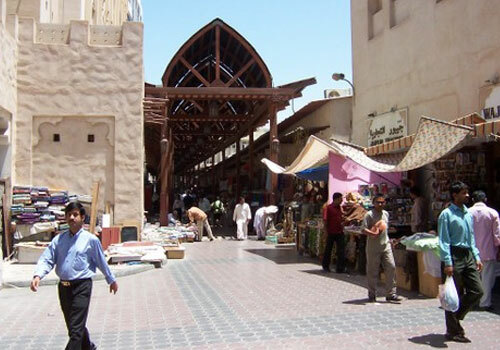 This is best exemplified in the area's souks, the traditional markets of Arabia. You can see why Dubai has been called the "City of Gold" in the Gold Souk, a lively market littered with jewellers and craftsmen selling all manner of gold artifacts, including jewellery. It is far more than an opportunity to shop, you should admire the arched entrance and soak up the vibrant atmosphere as well as keeping an eye out for a bargain or two. It is impossible to fail to soak up something of the atmosphere of the Perfume Souk next door, just follow your nose to where craftsmen create unique perfumes from careful blends of spices. More aromatic entertainment can be had in the spice sellers' area of the Old Souk by the river. The Old Souk also does a good line in just about anything else, make sure you check out the rugs and carpets. 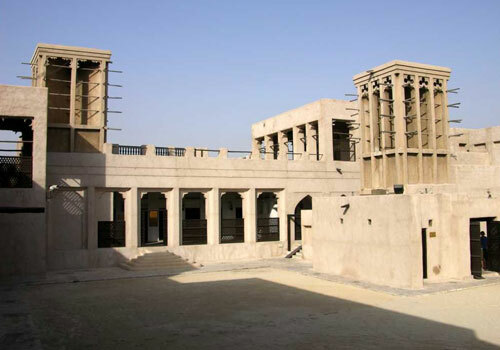 Head back through the ages by taking a tour of the Bastakiya district. The oldest part of the city, the area contains the best preserved examples of the old wind towers that were once used all over Dubai to keep the local houses cool. They would funnel any breeze down into the building in the earliest form of air-conditioning. 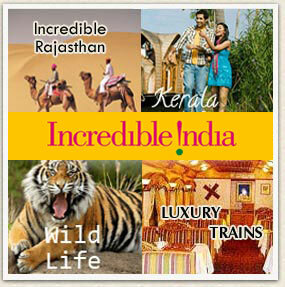 It is an atmospheric place of great historical interest. A museum, art gallery and cultural centre offer further attractions but most people enjoy merely wandering the streets of the district soaking up the ambience of old Dubai. 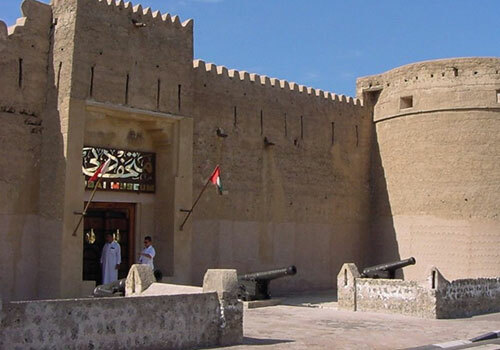 The building that houses the Dubai Museum, Al Fahidi Fort, was once an important part of the city's defences and has variously operated as a palace and a prison at various times during its history. It is thought to be Dubai's oldest building, perhaps surprisingly considering it was only built in 1787. The building is now home to an eclectic collection of exhibits that includes manmade artifacts recovered from various archaeological sites, dating back as far as 2500BC. The fort also contains an impressive range of military artifacts. Dating back to the late 1800s, Sheikh Saeed Al Maktoum's House on Al Shindagha Road is one of the oldest residences in Dubai. Built in traditional Islamic style, around a central courtyard, the house has been much restored and now approaches what it must have looked like when first built. The windtowers are of note, but as much care has gone into restoring the interior, and the woodwork - including carved screens and elegant balustrades - is particularly fine. According to local stories the house was built on the Bur Dubai bank of the creek in order to enable the Sheikh to keep a running tally of trade entering and leaving the city. 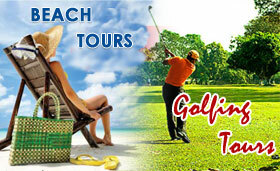 It is easy to believe with its position on the banks of the creek offering some great views out to sea. Previously the seat of government and the official residence for several generations of Sheikh rulers of the Emirate the house was eventually reopened as a museum in 1986. With a collection of photography and small artifacts it traces the development of Dubai as it turned from desert township to international city. Not as striking as the Jumeirah there is no doubting that the Grand Mosque beats its older rival hands down for sheer scale. Only re-built in 1998 the Grand Mosque boasts the city's tallest minaret at 70m and can comfortably accommodate hundreds of Muslim worshippers at a time. 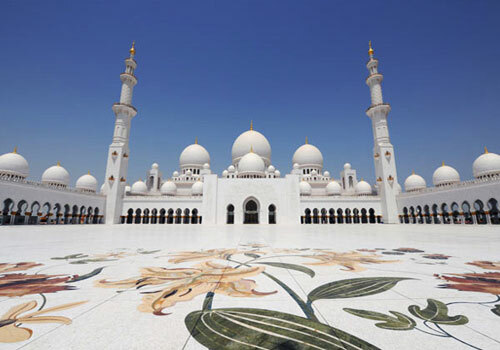 The main building comprises an amazing nine major domes and many smaller ones. Non-muslims are not allowed to enter but even if you can only view the outside you can't fail to be impressed. These twin hotels have become symbols of modern Dubai. 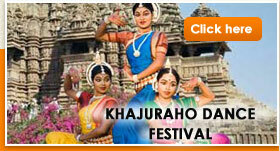 Both hotels offer some of the best entertainment and most elegant dining and shopping in the city. The Jumeirah Beach Hotel dates back to the 1990s and boasts incredible sweeping lines of glass looking out to sea on the edge of golden Jumeirah beach. Its even more spectacular sibling was only opened in December 1999. The "Arab Tower" looks like it has just emerged from the set of a sci-fi movie, stretching high into the heavens and occupying its own manmade island. The billowing sail shape makes it one of the most spectacular hotels in the world, architecturally speaking. 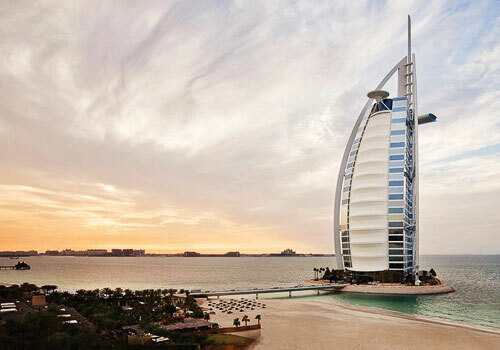 The restaurant and sky view bar on the 27th floor of the Burj Al Arab accesses the best views in the city, stretching along the coast or inland across modern Dubai. 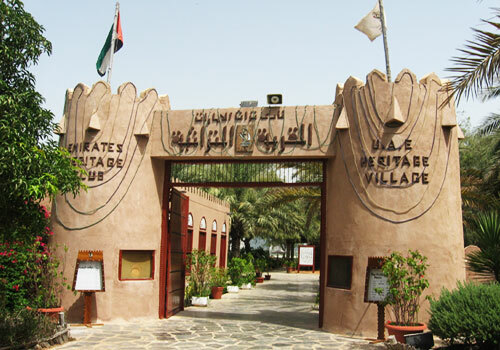 The 21st century meets the old Bedouin way of life in the Dubai Heritage Village. In the traditional tented village visitors can enjoy dancing, music and Bedouin hospitality, as well as buy handicrafts. In the diving village the exhibitions and displays concentrate on the region's centuries of history as a pearl diving centre. Fleets of dhows have been diving the Gulf waters around here since before the birth of Christ and the pearl industry in no small part helped to establish Dubai as a trading centre. The labour intensive industry is a fascinating subject - traditional divers could spend several minutes underwater hunting for the precious commodity. Many of the artifacts on display are from the Jumeirah archaeological site, where the remains of a 6th-century souk were discovered. Dhows are trading vessels that have for centuries plied the waters of the Arabian Gulf and further afield. In modern hi-tech Dubai they make a strange sight as they shuffle off their cargo at the wharf on Dubai Creek and stock up with another load of jeans, cloth or even cars. It is a fascinating bit of living history, although the cargo may have changed, the way of life on board a dhow hasn't. The boats are still made from wood by craftsmen as they always have been, and seeing the crew repairing and painting their vessel is a great way to while away some time. There are plenty of cheap restaurants around here too, and the dhow crews, although they look hardy, are usually friendly and always interested in practicing their languages on tourists. Dhows are trading vessels that have for centuries plied the waters of the Arabian Gulf and further afield. In modern hi-tech Dubai they make a strange sight as they shuffle off their cargo at the wharf on Dubai Creek and stock up with another load of jeans, cloth or even cars. It is a fascinating bit of living history, although the cargo may have changed, the way of life on board a dhow hasn't. The boats are still made from wood by craftsmen as they always have been, and seeing the crew repairing and painting their vessel is a great way to while away some time. There are plenty of cheap restaurants around here too, and the dhow crews, although they look hardy, are usually friendly and always interested in practicing their languages on tourists. 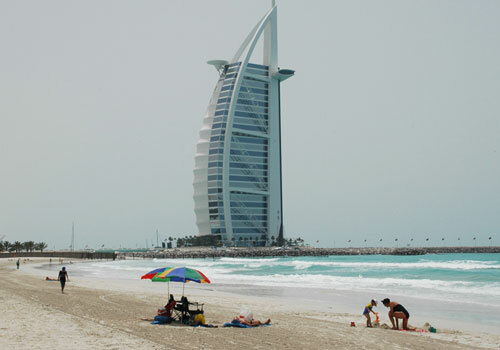 This is the famous beach that is now home to many of Dubai's best hotels. The smooth white sand may be lined with modern development, but the waters are clean and clear and there's plenty of space on the beach for Dubai's increasing number of tourist visitors. You can enjoy windsurfing or sailing in the calm shallows or simply choose to lie on the sands and paddle in the gulf's warm water. Be aware that some parts of the beach are closed to men on Saturdays.